One of the largest investments you'll likely make in your life, outside of a house or education, will likely be the vehicle you use to get to work, transport the kids to and from school and pick up groceries. You will use your car for everything and you depend on it to be reliable. But your vehicle depends on you for proper auto maintenance and to take care of any necessary repairs that may come about. It's important to constantly be looking for signs of trouble so that you can make an appointment for auto repair before you end up stranded on the side of the road. If you experience any of these symptoms of engine failure you may find yourself in need of an engine rebuild or other complex engine repair. 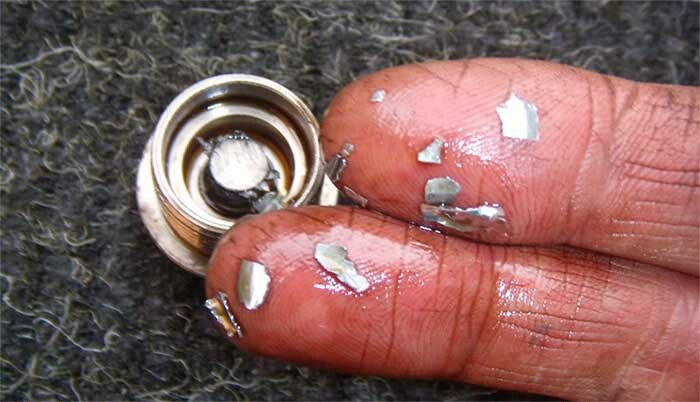 When you go to the shop to change the oil be sure to have the technician check for metal flakes in the old oil that has been removed from the vehicle. If you find any then it likely means that there is unwanted metal on metal friction happening inside the engine, resulting in exaggerated engine wear that will cause your car's engine to fail prematurely. A mechanic will need to diagnose the location of the issue inside the engine to determine if a rebuild will be necessary. If you burn motor oil it creates a blue smoke. That means if you have large amounts of blue exhaust smoke pouring out of your tailpipe that oil is likely burning with gasoline in the motor. This usually means that the piston rings have worn down allowing oil to drip into the cylinders, which results in it being burnt in the combustion chamber. If oil is being burned it means the motor is not being lubricated properly which could lead to major engine problems due to the unwanted contact. Car engines have numerous moving parts inside of them and many of these parts rely on engine bearings to be able to move about freely. If the bearings become worn out due to improper lubrication caused by low oil levels or general wear and tear that any high mileage vehicle goes through the bearings will begin to create a high volume knocking noise. If the bearings fail completely the engine will seize, requiring immense engine repair or possibly an engine replacement. If you suspect engine issues don't wait for it to get worse. Repair the problem before you end up needing a tow truck to bring you to your local auto repair shop for more expensive repairs. For professional engine repair in Ephrata contact Huber's Auto Group. Our team of expert technicians will diagnose the issue and have it repaired in no time. Give our full service Ephrata auto repair shop a call at (717) 733-2631 any time you're experiencing problems with your vehicle and we'll be happy to help you get back on the road in a reliable vehicle.